Why are Berkey® water purifiers the benchmark in gravity fed water purification? It’s simple- they remove viruses, harmful pathogenic bacteria, cysts, parasites, unhealthy contaminants and impurities to below detectable levels, while leaving in the essential minerals your body needs. The result is the most healthful, delicious water available, from your Berkey water purifier. Berkey® water purifiers can easily purify ordinary tap water, yet are powerful enough to efficiently purify raw, untreated water from sources such as remote lakes and streams. In the event of natural disasters and emergencies when treated water may not be available, your Berkey® water purifier is essential. 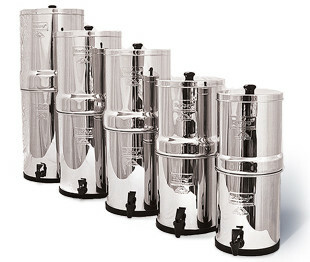 Berkey® water purifiers are the most economical water purification system you can own. The long life of the Berkey®Purification elements allows you to enjoy purified water at a very low cost compared to that of bottled water! Berkey® systems are easy to assemble and operate without tools, electricity, water pressure or plumbing. When traveling, or if space is limited, the top and bottom chambers of the Berkey® water purifier nest within each other for easy transport. Our independent lab results speak for themselves and proves that the Berkey® water purifier is the best gravity-fed water purifier on the market. 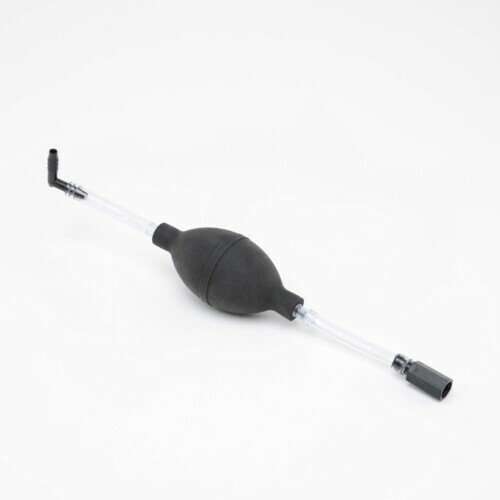 Click here to view how the test results for our Black Berkey® filter elements exceed expectations for gravity purification. Berkey® water purifiers are the world’s most powerful and cost effective personal water purification systems, providing reliable and user-friendly water purification in both normal and hostile filtration environments. Moreover, Berkey® water filter systems are capable of purifying both treated water and untreated raw water from such sources as remote lakes, streams, stagnant ponds and water supplies in foreign countries, where regulations may be substandard at best. So powerful, this water filter system is able to remove red food coloring from water without removing the beneficial minerals your body needs. A Berkey water purifier is perfect for everyday home use and a must in hostile environments where electricity, water pressure or treated water may not be available. For generations, health-conscious people around the world have recognized that the foundation to a healthy life and healthy body is clean, fresh drinking water. This important essential element is the basis for enjoying your longest, healthiest life. No amount of vitamins or supplements can substitute for the vital life-sustaining properties found in nourishing, healthful drinking water. 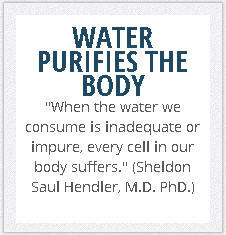 It is truly the foundation of life and can be provided by your Berkey® water purifier. Unfortunately, securing your access to good tasting, sparkling, wholesome drinking water can be harder than you might expect. Water is often laced with chlorine, lead, high levels of harmful bacteria, and other unwanted chemicals and contaminants. Frequently these produce unpleasant tastes and odors. Even bottled water can contain these same contaminants, and moreover it is very expensive. Many water filters on the market are inferior. Most water filters do not remove pathogenic bacteria and many remove the beneficial minerals that your body needs. 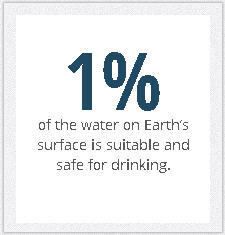 Perhaps that’s why Berkey® Water Purifiers have long been recognized as the world’s ultimate in water purification. This simple, highly effective method of using gravity was developed almost 200 years ago… yet it still produces some of the finest, most healthful drinking water available. * Flow rates are calculated with upper chamber full to top. Flow rate decreases as water level declines. 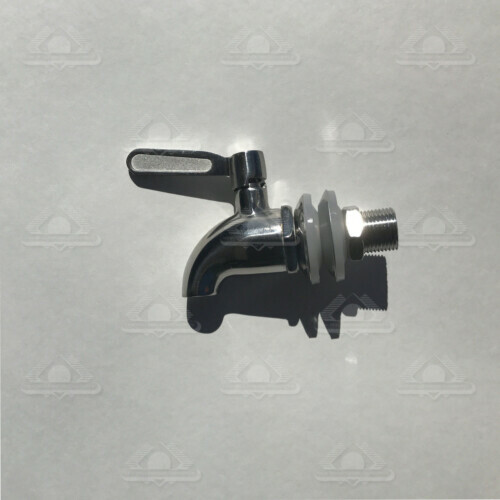 As it is impractical to keep the upper chamber completely full at all times, the flow rates are in practice less than the stated optimal rate. 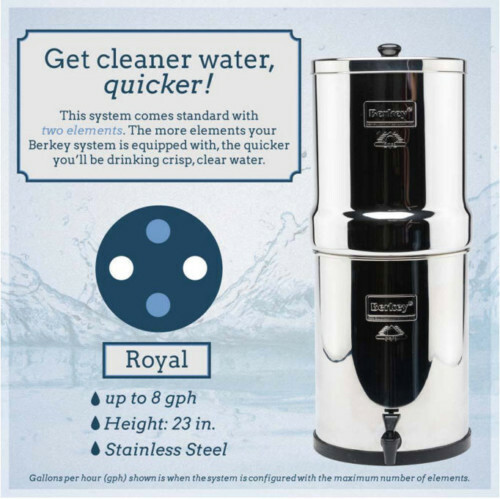 Berkey® Water Purifier Beats All Other Gravity Filtration Systems! Berkey® Water Purifiers VS Reverse Osmosis and Distallation? 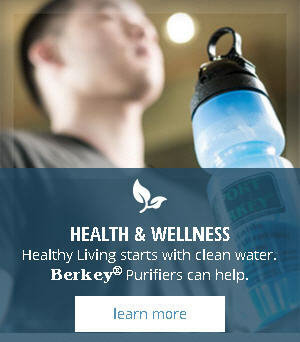 Which Impurities Are Removed By Berkey® Water Purifiers? IQAir Air Purifiers – HealthPro® Air Purifiers imported from Switzerland. BatteryPulse – Lead-Acid battery maintenance systems, extending the life of all lead-acid battery types by 3-5 times. Designer Cutting Boards – Hardwood cutting boards and butcher blocks.